The original. Est. 1926. 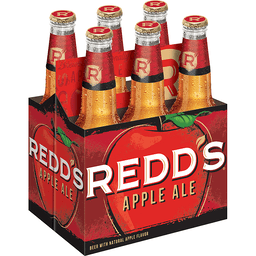 120 calories per bottle. Best of the Bluegrass in green glass. In 1926, my great-great-uncle Lee introduced a ginger and citrus soft drink like no other at the Clark County Fair. 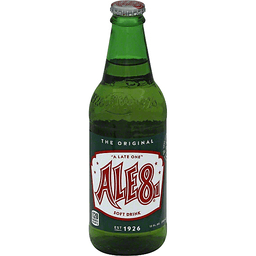 From that day on, the indescribable taste of this Bluegrass favorite would be known as A Late One or the latest thing. Four generations later, I still blend the secret recipe from Uncle Lees handwritten notes. Open one yourself and taste the tradition. - Fielding Rogers, 4th Generation Owner. 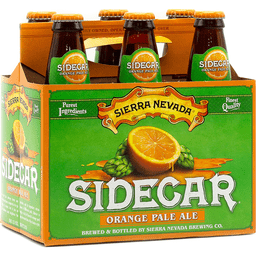 For Bracing Pep: Crisp, clean, real ginger with a hint of citrus. Please recycle. Product of USA. Unibroue La Fin Du Monde. 4 x 341 ml. 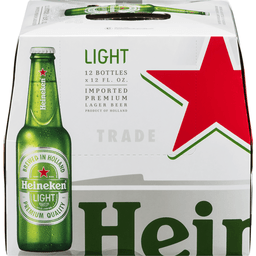 Europe - 4 x 33 cl. U.S.A. 4 x 12 fl. oz. Refundable bottles where applicable. 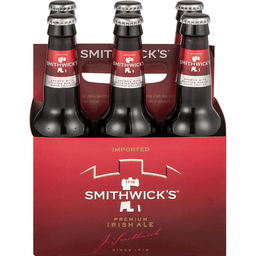 This "liquid gold", with its wild spices and incomparable flavour so precious to ancient explorers, could only be brewed in the High Lands of America. Travellers of old, it was said, would gladly go to the ends of the world to reach La Fin Du Monde! 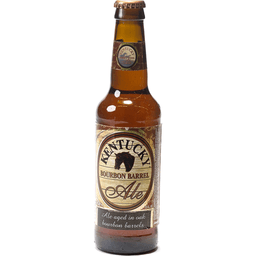 Ale on less 9% alc./vol. Bottle refermented. Medaille D' Or gold medal. Drink less drink better. Unibroue. Chambly Quebec Canada. 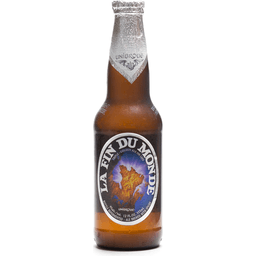 The excellence of triple fermentation through a blend of special yeasts gives this malt beverage La Fin Du Monde (the end of the world) an exquisitely robust flavour of exceptional refinement. Natural source ingredients. Refermented on yeast base. Triple, golden ale on lees. Unibroue. 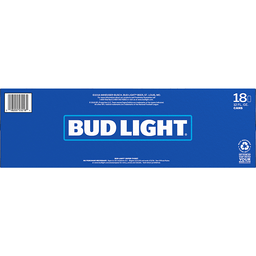 9% alc./vol., 12 fl. oz. 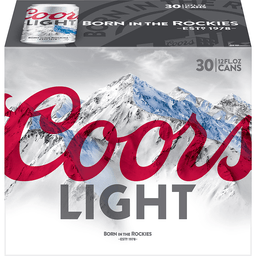 355 ml. Bottled refermented. 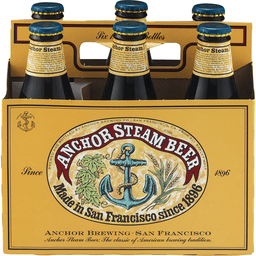 Ale brewed with spices. Est. 1995. 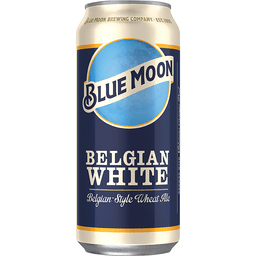 Brewed with Valencia Orange Peel: Brewed with white wheat and steel cut oats, Blue Moon features a crisp finish and the perfect combination of Valencia orange peel and a touch of coriander. 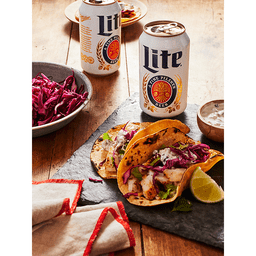 Bring out the flavor by serving it in a Pilsner glass with an orange slice. 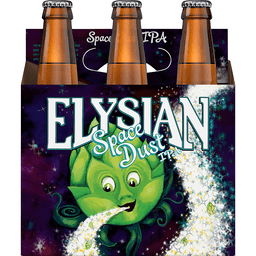 Belgian-style wheat ale brewed with coriander & orange peel. Questions? Call 1-800-ble-moon. Please recycle. 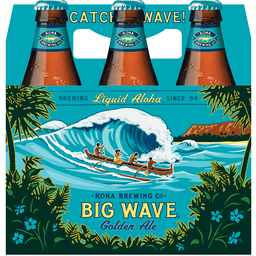 5.4% alc. by vol. 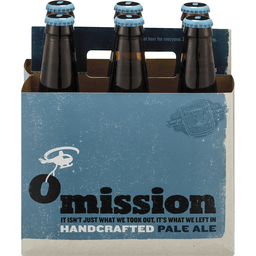 Brewed by Blue Moon Brewing Company, Golden, CO. 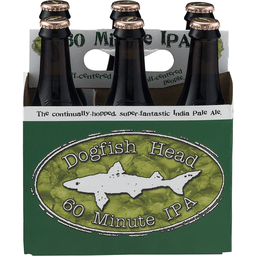 Thanks for choosing to spend the next few minutes with this specially homicidally hoppy ale. Savor the moment as the raging hop character engages the imperial qualities of the malt foundation in mortal combat on the battlefield on your palate! Life is uncertain. Don't sip! 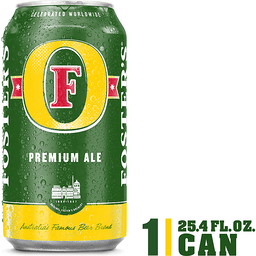 Un-limited release. Say lah-goo-Knee-tuss. 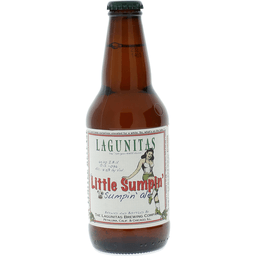 Sumpin' ale. So, we're all on collective disability. That's cool. Let's put some ice on it and keep ourselves elevated for a while. So what's on the tube? Honey? Get me a beer from the fridge. Will ya? Sweetie? Pleeease? 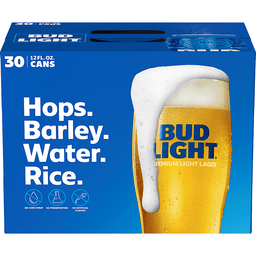 Of hops, malt, hops, hops, yeast, hops, water, and hopes. Life is uncertain. Don't sip. Alc. 7.5% by vol. 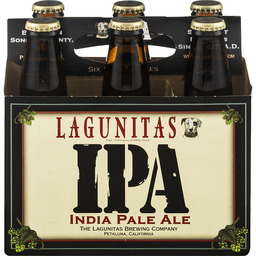 Brewed and bottled by The Lagunitas Brewing Company Petaluma, Calif. & Chiago, Ill.
You hold in your hand the flagship of the Bell's family. 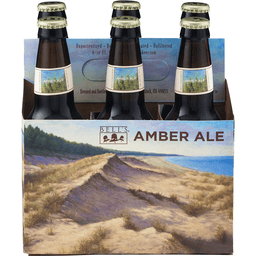 Amber ale. 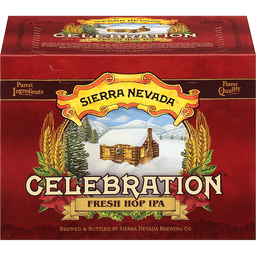 A unique copper ale crafted from mostly pale malts for a rich, sweet flavor unlike any other. Wow. 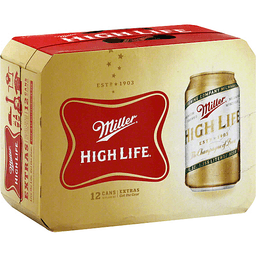 Someone who reads six-packs. Serious research. And now you want some rational reasons to take a six of Bell's home. We can do that. 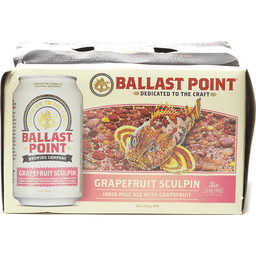 Compared to most beers, Bell's uses boatloads more hops and malted barley. And not only do we put more in, we leave it there. 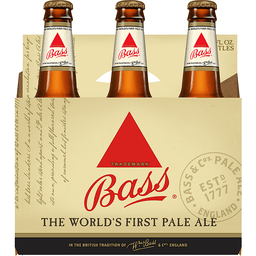 Bell's brews are unfiltered and bottled conditioned. So you get all the sturm and drang novice beer drinkers would sprain a taste but on. 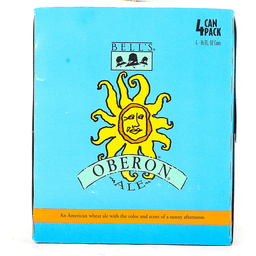 Bell's beers. Proof that drinking and thinking are not mutually exclusive. Alc. 5.8% by vol. 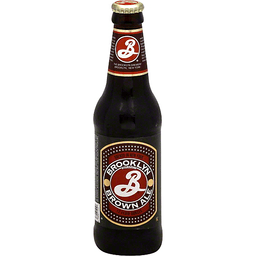 Richly mahogany in color, Brooklyn Brown Ale is richer and hoppier than its mild and malty English forbears. Chocolate and coffee flavors punctuate the roasty malt background. 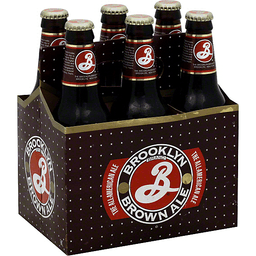 Brooklyn Brown is brewed with malted barley, hops, water, and yeast, and will taste best before the freshness date indicated. Please write us or visit the brewery Saturdays noon to 5pm, at No. 1 Brewers Row, 79 N. 11th St, Brooklyn NY 11211, or our web site at www.brooklynbrewery.com. 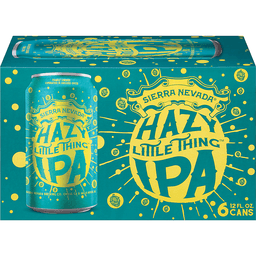 5.6% Alc. by vol. Brewed and bottled by the Brooklyn Brewery, Utica, NY. 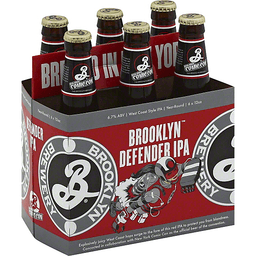 Brewed in New York. North County San Diego. Gar-goyle (gar' goil') n. - A fearsome figure carved from stone that has powers to ward off evil spirits. Our stone gargoyle wards off modem day evil spirits such as chemical preservatives, additives & adjuncts. One taste, and you can tell he does his job very well. 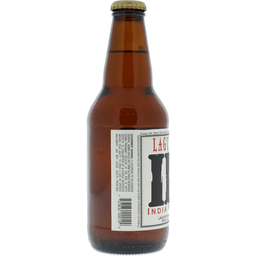 Stone India Pale Ale: To say that this gem of an IPA is hoppy would be putting it modestly - and modesty is definitely not one of our strong suits. 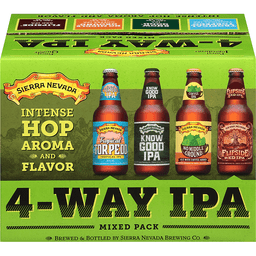 Big hop flavor and big hop aroma. What about hop bitterness you ask? You bet! 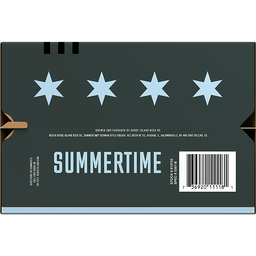 We loaded glorious amounts of crisp and refreshing hop bitterness into this brew. First the aroma delights, then the flavor moves us to rejoice aloud! In fact it makes us feel downright poetic. We hope it does for you too! Our philosophy: we hardly keep it a secret that we revel in our love for big character ales. We have way too much fun creating our brews to even think for a moment about brewing anything that's less than truly unique and outstanding. (we know you love them as much as we do.) Enjoy! Brewed & bottled by the Stone Brewing Co., Escondido, San Diego County, CA. 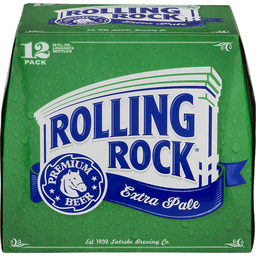 6.9% alc. vol. The continually - hopped. 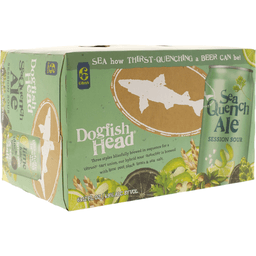 www.Dogfish.com. 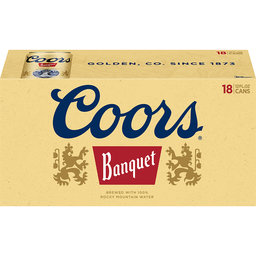 6% alc. by vol. 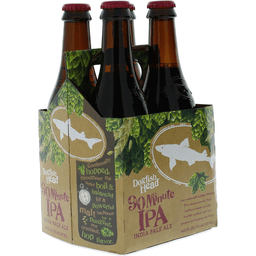 Brewed & bottled by Dogfish Head Craft Brewery, Inc. Milton, Delaware. 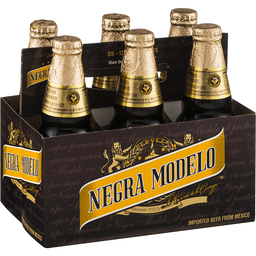 Ale with natural hazelnut flavor. The Great American Beer Festival, Denver Colorado. 2011 & 2012 Gold Medal. Specialty Beer Category. 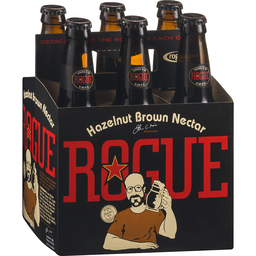 Dedicated to the rogue in each of us. 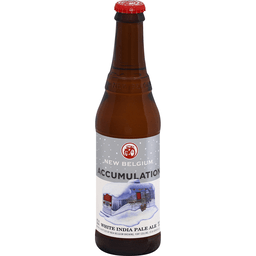 Flurries of Mosaic and Amarillo hops bring soft fruit and citrus flavor, followed by a layer of bitter in our seasonally suited White IPA. New Belgium's employee owners would love to see you enjoying our beer (at)newbelgium and newbelgium.com. Alc 6.2% by vol. Brewed & bottled by New Belgium Brewing, Fort Collins, CO & Asheville, NC. 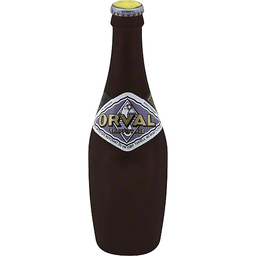 http://www.orval.be. Sole US agents. 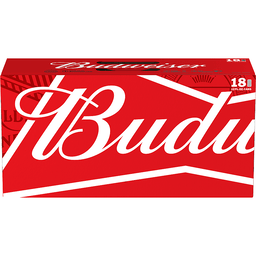 Authentic beers. merchantduvin.com. 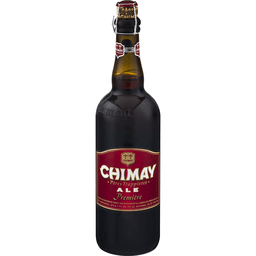 Authentic Trappist product. Alc. 6.9% vol. Sole importers Merchant du Vin Corp, Tukwila, WA 98188. Brewed & bottled by Brasserie D'Orval SA B 6823 Villers D'Orval Belgium. Product of Belgium. Purest ingredients. Finest quality. Fresh seal cap. Inspired by the island life, we created an IPA completely disconnected from the mainland. 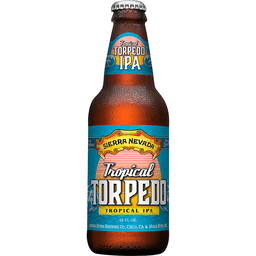 We used our one-of-a-kind Hop Torpedo to deliver an intense rush of hop flavor and the lush aromas of mango, papaya, and passionfruit with every sip. 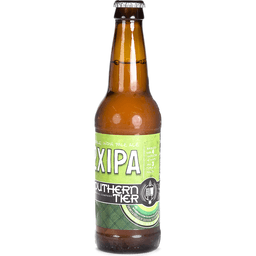 Enjoy our tropical twist on the American IPA. 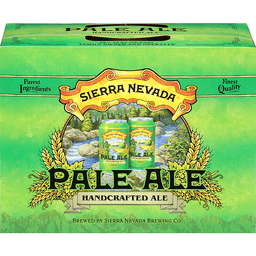 www.SierraNevada.com. Alc. 6.7% by vol. 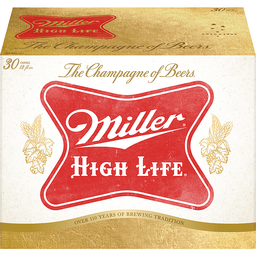 Authentic Trappist product. merchantduvin.com. Alc. 11.3% vol. 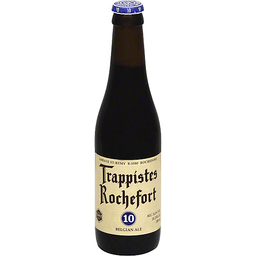 Made in Belgium by Abbaye St -Remy B-5580 Rochefort. Belgian cherry beer. 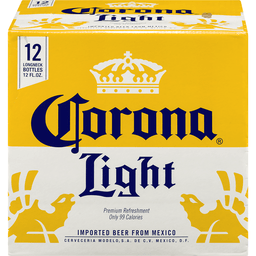 Malt beverage with natural flavors & natural sweetener. 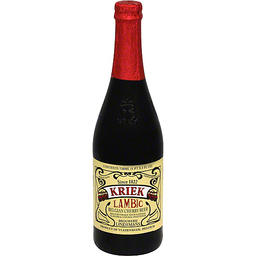 Lindemans Kriek is a lambic made from local barley, unmalted wheat, cherry juice, aged hops and wild, airborne yeast - the brewers add no yeast. Bold cherry balances wild yeast complexity. True lambics are brewed only in Belgium's Senne River Valley neighboring Brussels. To learn more about the Lindemans Brewery visit: merchantduvin.com. Traditional speciality guaranteed. Belgian family brewers. Product of Vlezenbeek, Belgium. 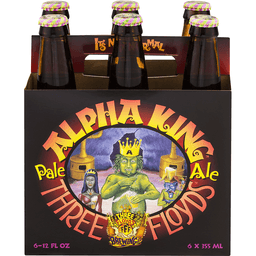 Three Floyds Alpha King Pale Ale. It's not normal. Fff, 3, Three Floyds Brewing Co. An American pale ale with bold citrus hop character. Visit Three Floyds Brew Pub. 20 different taps. Not normal food. Award-winning beer & food. Closed Mondays. 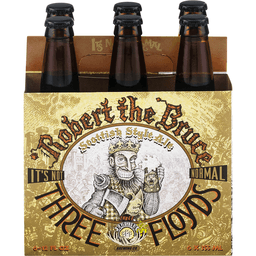 Try all the Three Floyds beers! 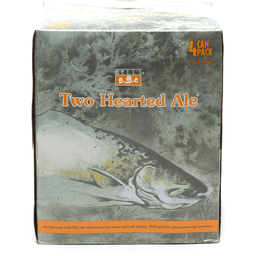 Visit our brewpub: threefloydpub.com. Alpha King is an American pale ale with a bold citrus hop character. 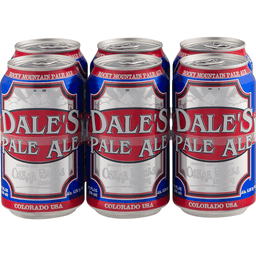 We brew all our beers for our own demanding tastes. 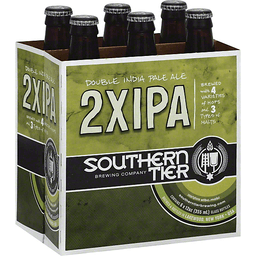 If you're unwilling to compromise on your beer, we urge you to try it. threefloyds.com. It's not normal. 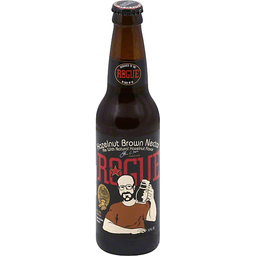 A big bodied ruby-colored ale, chocolatey and robust yet smooth and malty with a lingering warming finish. 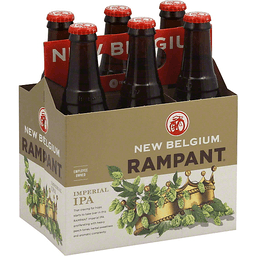 Authentic Trappist product. merchantduvin.com. Alc. 9.2% vol. 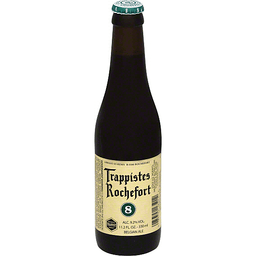 Made in Belgium by Abbaye St -Remy B-5580 Rochefort. Schlafly Christmas Ale. Special release. The Saint Louis brewery. 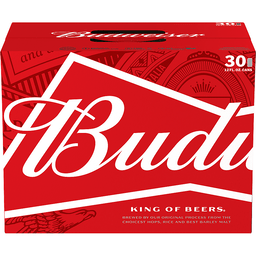 30 IBU. 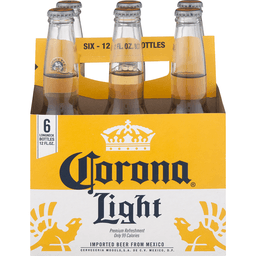 6 - 12 oz btls. In 1991, we opened The Schlafly Tap Room in St. Louis, Missouri to bring classic European beer styles to a city with only a few beer style choices. Our team of passionate brewers continues to create an increasing number of classic as well as new beer styles, revolutionizing the beer landscape in St. Louis and beyond. We brew over 70 unique styles each year. Schlafly Christmas ale is a warming winter ale that blends the spices of the season with sweet caramel malt. Orange, peel, clove, cardamom and ginger accent our definition of a holiday tradition, with rich caramel malts and a seasonal spiciness. 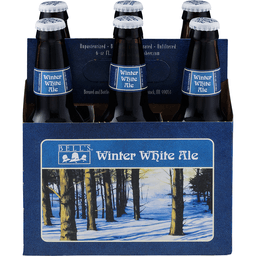 It wouldn't be winter-time without one. Bottled with love on. Visit us in St. Louis. The Schlafly Tap Room - Downtown West, 2100 Locust Street, 63103. This is where our dream of Schlafly Beer started and was also the first new brewery built in St. Louis since prohibition. We put our small brewhouse and restaurant into a turn of the century historic building where you can choose from over 16 classic and innovative beers on tap together with a menu of classic European small and large plates. Schlafly Bottleworks - Maplewood, 7260 Southwest Avenue, 63143. Opened in 2003, this is our primary production brewery. The brewery, restaurant and beer garden are located in the Maplewood business district. 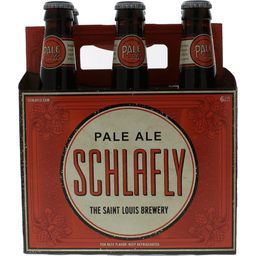 Visit schlafly.com for current availability in bottles, cans and draft. The Great American Beer Festival, Denver Colorado. 2011 & 2012 Gold Medal. Specialty Beer Category. Dedicated to the rogue in each of us. 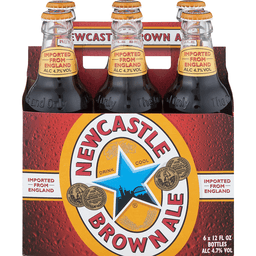 A nutty twist to a traditional European Brown Ale. 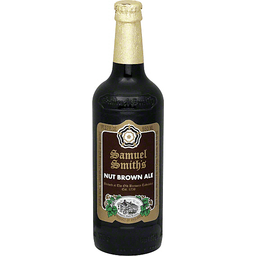 Dark brown in color with a hazelnut aroma, a rich nutty flavor and a smooth malty finish. Established 1988. No chemicals, preservatives, or additives. 14 degrees Plato. 331BU. 73.6 AA. 36 degrees L.
Since 1634. 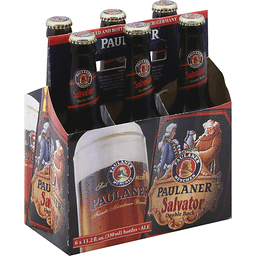 Finest Munich art of brewing since 1634. Brewed and bottled in Munich/Germany. 1871. Bottle conditioned. The Moortgat family brewery. 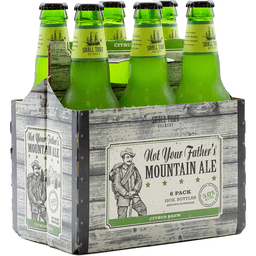 Refreshing and golden like a Pilsner, but with the flavor, depth and complexity of an ale, this Belgian favorite has been brewed by four generations of the Moortgat family. The Pilsner malts, Bohemian hops and unique yeast strain combine to create Duvel's intensity, aroma and oomph. 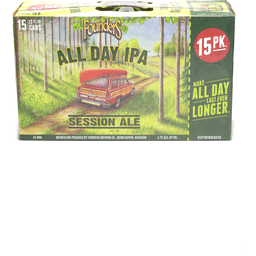 And the unusually long maturation process at our brewery ensures a mellow, balanced and beguiling flavor. - Moortgat Family. Duvel. Different for a reason. 1. Weird looking: Shaped to release the beer's abundant aromas, the Duvel glass allows the beer to slip under our distinctive head, and onto your expectant taste buds. 2. Vertically challenged: Duvel's bottle is short and stubby, and made from heavy-weight glass to withstand pressure created by bottle fermentation. The brown glass prevents UV damage. 3. Respect your elders: This Belgian classic brings forth brewing methods and standards that have operated at our Breendonk brewery since 1871. 4. Pale but interesting: Behind Duvel's golden hues and refreshing taste is a deep, complex and intriguing ale with big flavor. 5. 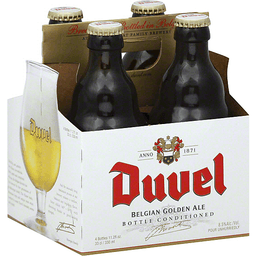 Guaranteed not fresh: Duvel is fermented 3 times. Why? Flavor, depth, complexity and character. Everything you look for in a new acquaintance! 6. Big headed, but humble: Created by champagne-like bubbles mingling with proteins formed during the malting process, the luxuriant head is Duvel's distinctive calling card. 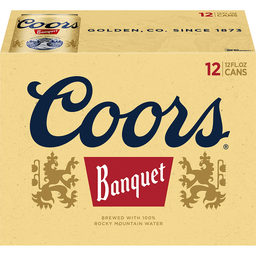 Four generations of the Moortgat Family have brought together Pilsner malts, Bohemian hops, and a unique yeast strain to create this intense, aromatic and beguiling ale. Brewed and bottled by Duvel Moortgat. 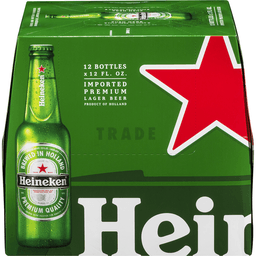 8.5% alc./vol. Pour unhurriedly. 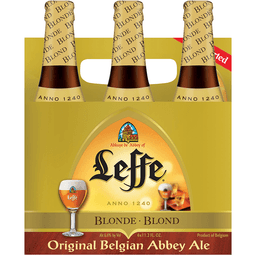 Brewed and bottled in Belgium. 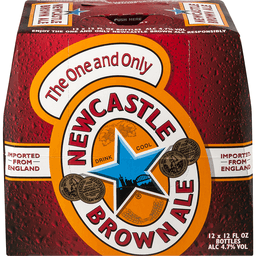 The original pecan nut brown ale. 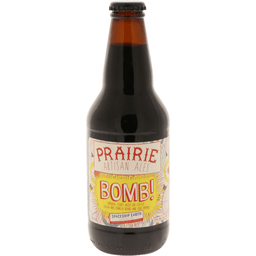 Ale brewed with pecans. Smooth & sweet nut brown ale. Cheers y'all. Brewery Tours: Come and see how we make our beer every Saturday morning at 10:30. No reservations are required - just show up. Special tour times may be arranged for larger groups so call us to schedule one. After the tour, we will give you a list of great places to try our beer locally. 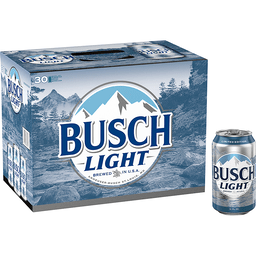 Unfortunately, Mississippi law will not allow sampling at the brewery. How to Contact Us: Physical Address: Lazy Magnolia Brewing Company/7030 Roscoe Turner Road/Kiln, MS 39556. 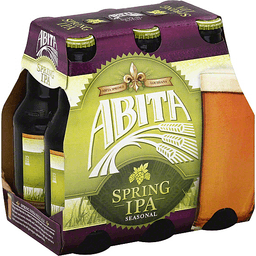 Mailing Address: Lazy Magnolia Brewing Company/PO Box 1476/Kiln, MS 39556. Phone: 228.467.2727/Fax: 228.467.2323. How to Find Us from Interstate 10: Take Mississippi Exit 13 north onto Highway 603 going towards Kiln/Picayune. Turn left at the first stoplight onto Stennis Airport Road. Go to the end of the road. Turn into the first driveway on the right. If you get to Roscoe Turner Road then you have gone too far. Follow the driveway along the south side of the building complex. We are located at the very last roll-up door. 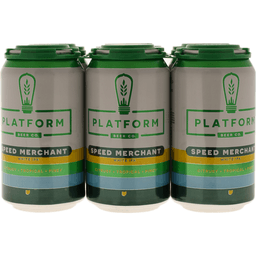 Once you have tried our beer, get the gear. 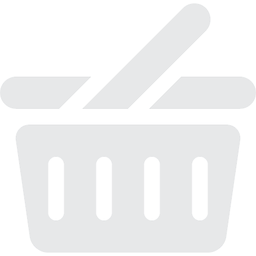 Visit our online store. lazymagnolia.com. 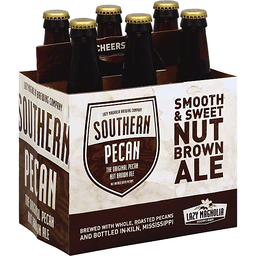 Brewed with whole, roasted pecans and bottled in Kiln, Mississippi. Estd. 1719. Grown, mashed, fermented, twisted and conditioned in Scotland. 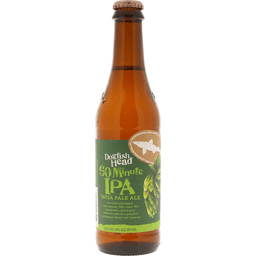 A refreshing example of an India Pale Ale from the master brewers to Belhaven. 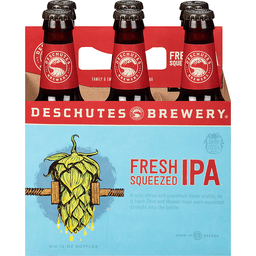 The blend of cascade and challenger hops combine to produce an abundance of fresh hop aroma that preludes a bitter-dry taste explosion. Crafted from nearly three centuries of brewing heritage at one of Scotland's oldest breweries, this ale from Belhaven will have your taste buds tingling. www.belhaven.co.uk. Alc. 6.1% by vol. 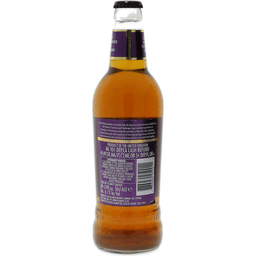 Brewed by the Belhaven Brewery, Dunbar, East Lothian, Scotland EH42 1PE. 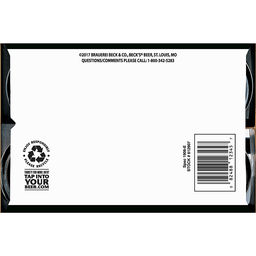 Imported by Belukus Marketing, College Station, Texas 77845. Product of the United Kingdom.